Open office spaces can be noisy and busy with people constantly walking in and out. This can be very distracting and not at all conducive for productivity. With the help of our room divider, Facet, you can section off certain parts of the open office design. 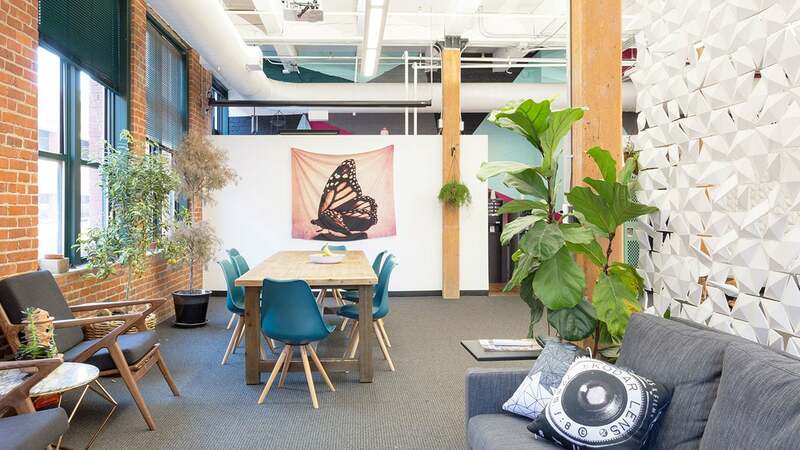 Modern workspaces often consist of large open rooms with mundane office furniture. If you want to create a space where the employees feel good and motivated to work hard, then our room divider is just the thing for you. Open office design is great in the way that it promotes co-operation and collaboration between different departments. Unfortunately, it also creates a space where there can be many interruptions. To create a cozier atmosphere and to minimalize the disturbances, it is wise to use partitions between certain areas in your office. Not only will Facet help keep distractions to a minimum, it also is a mesmerizing piece of design furniture, a perfect addition to any open office design. Its uniqueness and the simple design will inspire your employees and show your clients that you have a keen eye for detail. You can order Facet from any place in the world. It is made to order and will be delivered to your doorstep. Once you have received your very own Facet room divider, you can easily assemble it and attach it to your ceiling. With every order, we include a helpful step-by-step manual. We can also be reached by email or telephone if you need any assistance. 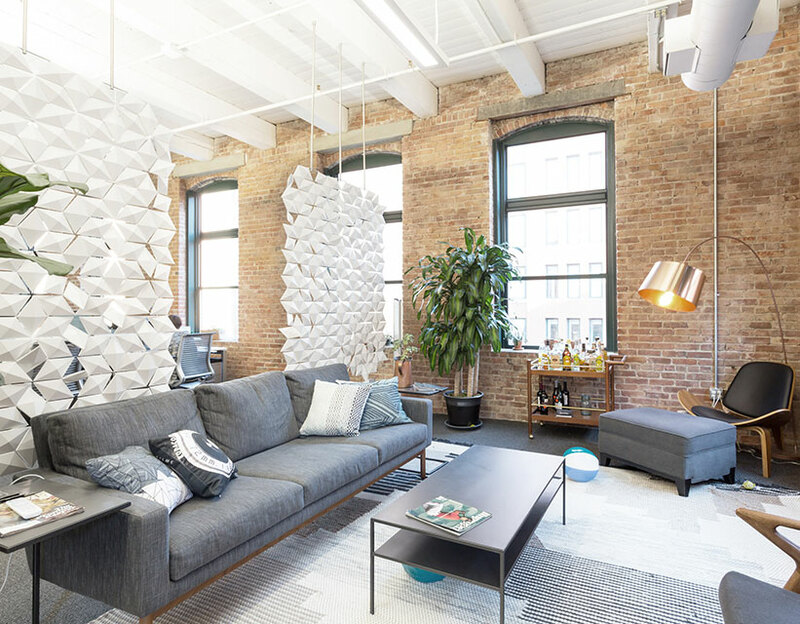 The open office design images on this page is situated in Boston, USA. It is the office of 3Play Media. You can clearly see that it is an office for people in a creative industry. The eclectic mix of furniture and decoration, the abundance of plants together with the room divider, makes the space feel inviting and inspiring.